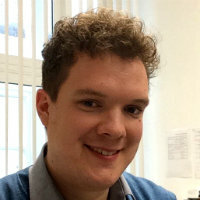 Dr Adam Harper is a musicologist and music critic specialising in historical and contemporary ideas surrounding 'progressive' music of the twentieth and twenty-first centuries and their technological platforms. Dr Harper received his DPhil from the University of Oxford in 2014, his Masters in Historical Musicology from Goldsmith's College, University of London in 2009, and his Bachelor of Arts (Music) at the University of Oxford in 2008. Prior to joining City in 2016, Dr Harper taught on a range of approaches to studying music and its history at the University of Oxford (2011-2016) and Oxford Brookes University (2015). Dr Harper is a musicologist and music critic specialising in historical and contemporary ideas surrounding 'progressive' music of the twentieth and twenty-first centuries and their technological platforms, particularly the role of aesthetics in forming the intersection between sound and ideology (particularly countercultural ideology). Taking in rock, pop, electronic music and contemporary composition, this research bridges 'popular,' 'classical' and 'experimental' musics, and as such prefers to avoid those terms where possible. This has meant examining the ways in which the perceived sonic effects of aging technologies such as tape and vinyl have been used to convey distance from contemporary culture (my PhD was entitled 'Lo-Fi Aesthetics in Popular Music Discourse), but also looking at the ways in which the perceived psychological effects of digital technologies such as the Internet have been or can be linked to certain musical characteristics. Harper, A. (2011). Infinite Music Imagining the Next Millennium of Human Music-Making. John Hunt Publishing. ISBN 978-1-84694-924-1. Harper, A. (2017). Images of Thought, Images of Music. In Herzogenrath, B. (Ed. ), Sonic Thinking: A Media Philosophical Approach Bloomsbury. Harper, A. (2016). 'A Satire of Digital Culture?' and 'The New Hi-Tech Underground'. In Beyer, T. and Burkhalter, T. (Eds. ), Seismographic Sounds: Visions of a New World (pp. 478–487). Norient. Kearns, J. (2015). Introduction. (p. 1). Harper, A. (2014). Composition, Change and Musical Objects in Infinite Music. Darmstädter Beiträge zur neuen Musik (pp. 15–28). Mainz: Schott. ISBN 978-3-7957-0866-5. Barringer, T., Damen, J., Limb, P. and Wallace, M. Introduction. African Studies in the Digital Age (pp. 1–11). Brill. Harper, A. (2017). How Internet music is frying your brain. Popular Music, 36(1), pp. 86–97. doi:10.1017/s0261143016000696 . Harper, A. (2016). "Backwoods": Rural Distance and Authenticity in Twentieth-Century American Independent Folk and Rock Discourse. Samples : Notizen, Projekte und Kurzbeiträge zur Popularmusikforschung, (14).